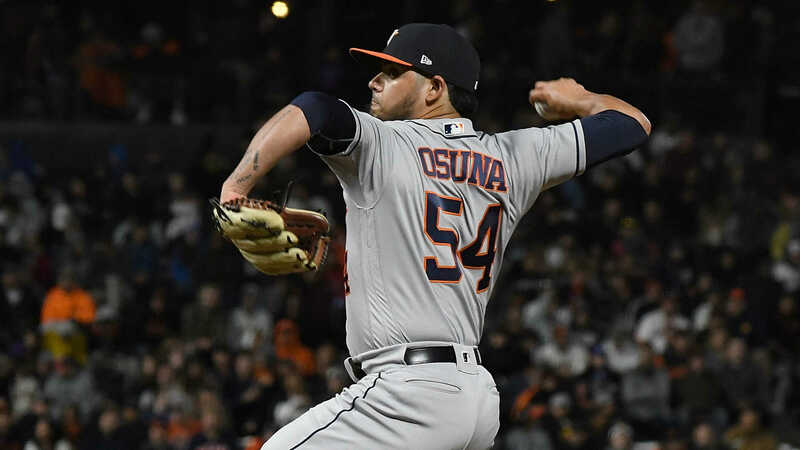 Astros right-handed pitcher Roberto Osuna agreed to a peace bond in a Toronto court Tuesday, which effectively drops his assault charge, the Houston Chronicle reported. The peace bond, which is a type of restraining order, prohibits Osuna from contacting the victim for 12 months. If all guidelines are met and Osuna stays out of trouble, his record will be cleared. “I am pleased and relieved by today’s court decision. Now I can begin to put these allegations behind me and focus on baseball,” Osuna said in a statement. “I want to thank my family, teammates and friends for believing in me. I am grateful to the Astros for providing me with the opportunity to play baseball and compete for a World Series championship. Osuna, 23, served a 75-game suspension after he was arrested on assault charges in May while he was still with the Blue Jays. Toronto opted not to keep Osuna, trading him to the Astros. Monday was Osuna’s first time back in the Blue Jays’ stadium since he was arrested. He received a chorus of boos as he took the mound in the Astros’ 5-3 win.